All the players who are participating in this championship are visually impared but they are mentally very strong and competiting this championship to book their seat at the international platform of chess. The 13th edition of AICFB ‘National ‘A’ Chess Championship for the visually challenged’, commenced in Andheri Sports Complex, Mumbai on 3rd Feb and will continue till the 11th Feb.
AICFB ‘National ‘A’ Chess Championship for the visually challenged has been inaugurated on 3rd February by the AICFB president Dr Charudatta Jadhav, Sagar Shah, International Chess Player, Ravindra Dongre, Chairman, Maharashtra Chess Association (MCA). 'chess is only game where there is no consideration or any changes in the game for blind. Here the blind players can also beat the sighted player said charudatta Jadhav who himself is a blind national champion of chess. A unique initiative, Radio Chess was launched at the inauguration which is specially conceptualized by Dr. Charudatta Jadhav for the visually challenged chess players. The idea behind the initiative is to educate and create awareness about the game of chess in the visually challenged people. 14 of the best visually challenged chess players from India were present during the inauguration ceremony and were all excited for the tournament to start. AICFB focused on creating an important platform for the blind players to mark their presence on the world through this tournament. Dr. Charudatta Jhadav along with chief guests Sagar Shah and Ravindra Dongre have a vision of making more efforts to gain support from the Government of India and the viewers in empowering the players ahead. Sagar Shah, International Chess Champion empowered AICFB by gaining the support of the audience and take vital steps to encourage and spread the awareness of this Blind Chess tournament for the coming days ahead. Along with Sagar Shah, Ravindra Dongre, Chairman of the MCA appreciated Dr. Charudatta Jhadav for his selfless efforts throughout many years for blind chess and AICFB. The 14 visually challenged chess players competed against each other during the first leg of the National 'A' Chess Championship. 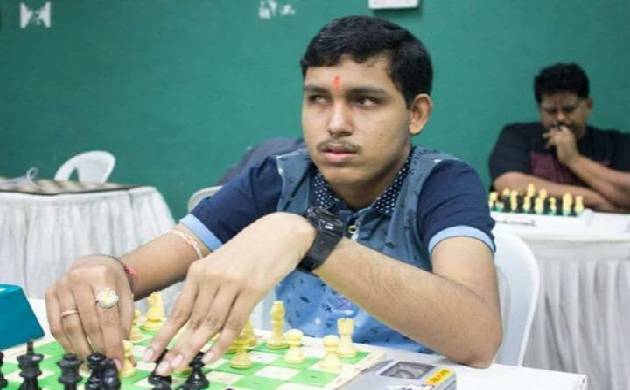 The top 5 players from National ‘A’ Chess Championship for the Visually Challenged will form Indian teams for the forthcoming ‘World Team Championship’ and ‘World Junior’ for the blind which will be held in Bulgaria in July 2018 and Poland in August 2018 respectively.